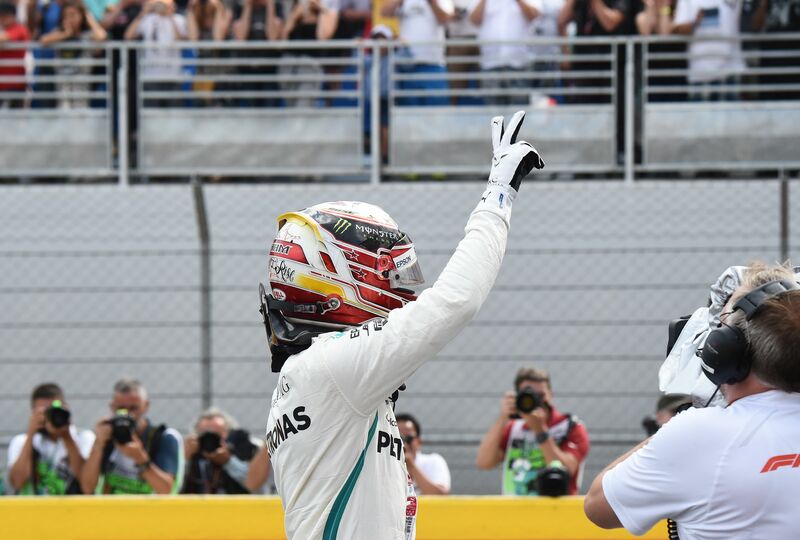 Qualifying for the French Grand Prix saw Lewis Hamilton claim his 75th pole position, with teammate Valtteri Bottas locking down the front row for Mercedes, a tenth of a second down on the four-time world champion. Hamilton's gap to the man in third, Ferrari's Sebastian Vettel, was 0.371 of a second, while Red Bull Racing's Max Verstappen ended up 0.676 down in fourth. Mercedes had already established itself as the team to beat in free practice, but the big question mark hanging over its strong Friday form was how its updated engine would perform when turned-up to 'party mode,' the special engine setting for the decisive moments of qualifying. Despite Hamilton and Bottas admitting their final laps weren't perfect, they were the only ones of the front-runners to improve on their times on their second Q3 runs. Although Hamilton downplayed the importance of the update, stating that "the gains from upgrades that you usually get now are small" and pointed out that "it's not the whole reason we are on the front row here," Bottas argued Mercedes "definitely needed" the update. "It's going to be a close season ahead, so I'm glad we could have it this race." According to Bottas, the new engine feels good. "Very fresh and powerful." Hamilton and Bottas locked-out the front row, ahead of Ferrari's Vettel. Mercedes had previously targeted the Canadian Grand Pri to debut its engine upgrade but held off on introducing it due to reliability concerns. 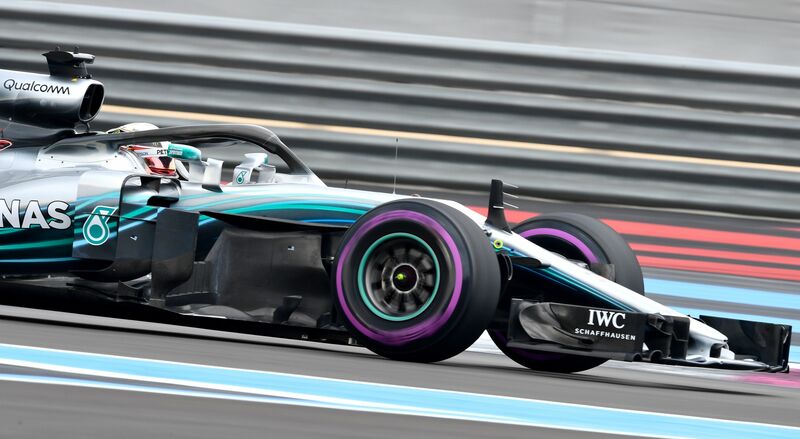 Instead of just bringing what it had initially prepped for Canada, however, Mercedes brought a little extra to France, with the team stating on Twitter: "While we would have introduced a Phase 2 PU in Canada, this is a Phase 2.1 with some 'added goodness.'" Mercedes introduced a new internal combustion engine, turbocharger, and MGU-H (motor generator unit - heat, part of the energy recovery system) on the factory Mercedes' of Hamilton and Bottas and the cars of customer teams Force India and Williams. In addition to bringing several new components, however, Mercedes now runs 'fresher' power units than its rivals—with Ferrari, Renault, and Honda all having brought updates at the Canadian Grand Prix earlier this month. In an age where drivers have to carefully manage engine wear due to the grid penalties that are handed out for exceeding the limit of three engine units per driver per season, Mercedes' delay may thus yet play into their hands. Especially since their phase 2.1 spec with "added goodness" will come in handy at the Circuit Paul Ricard, a power circuit featuring several longs straights, and the Red Bull Ring and Silverstone (next up on the calendar) placing a premium on engine power as well.